I’m finally recovering from my holiday break slash honeymoon with my new wife, travelling three weeks between Mexico & Belize. 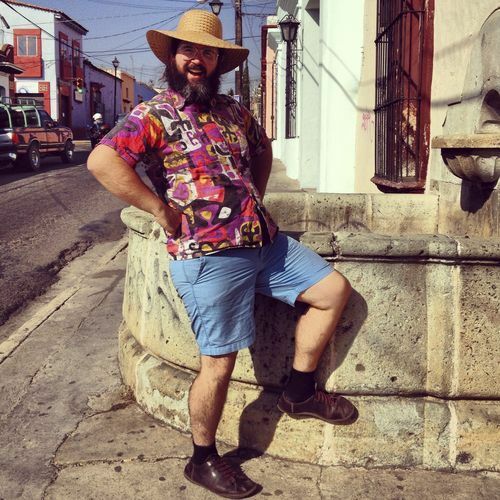 This was a great chance for exploring unfamiliar territories while also getting the inside scoop on fashion trends south of the border. We started our trip in Mexico City. 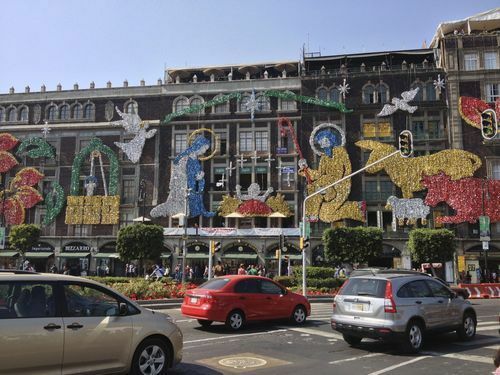 The Zócalo in the center of the the city was brightly decorated with shimmering nativity scenes. Angels, wisemen, donkeys all reflected light alike and I found it a humbling moment of sparkle unity. 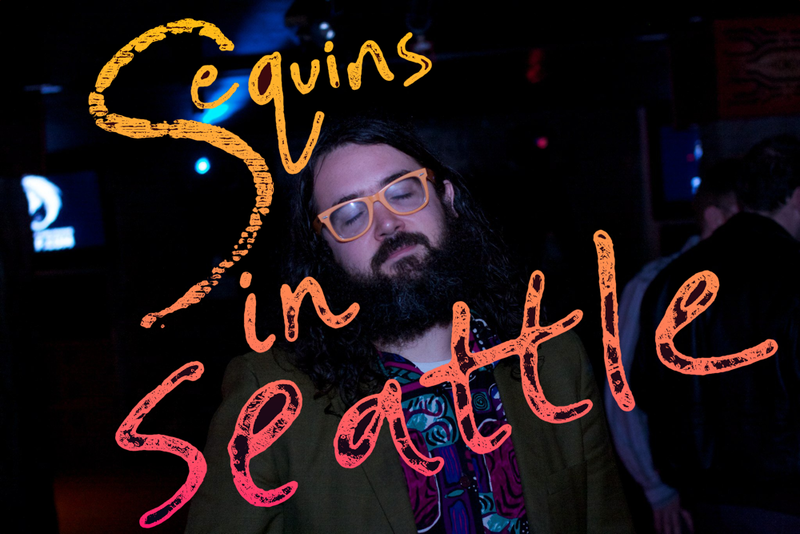 The City was more than just sequins though. 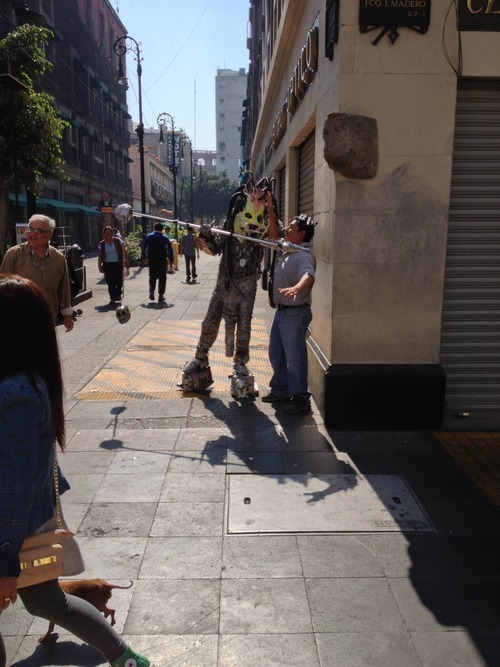 Here, we see an adventurous fashion pioneer on the streets near the Zócalo. Note the platform shoes, full mask, sceptre accessory, and winning attitude. Of course, my investigative reporting would be incomplete without the current state of Mexican bling, and let me tell you, IT WAS EVERYWHERE. 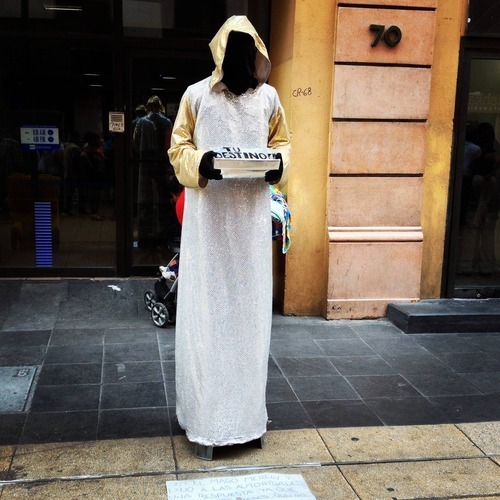 Here was one of my favorite street looks, a person dressed in head to toe sequins holding a cardboard box that says “Your Destiny”. An accurate vision of my future, I can only hope. 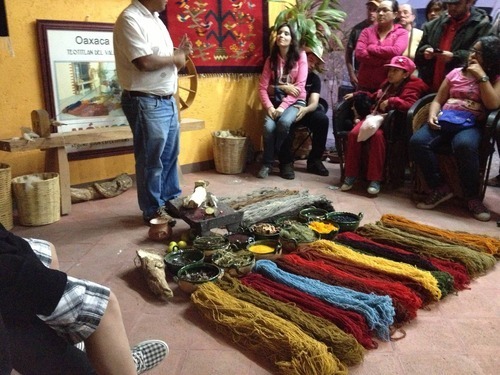 After Mitla we went to a small factory where they preserve the wool dye-ing practice of the indigenous Zapotecs and showed us the natural materials used to create these fresh colors. 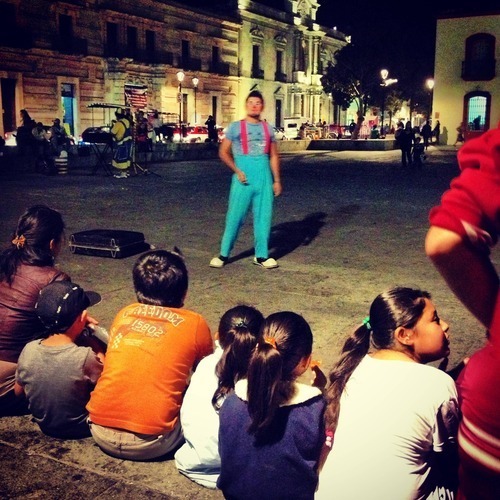 Back in Oaxaca, we spent our evenings in the center square trying street food and taking in the nightlife. 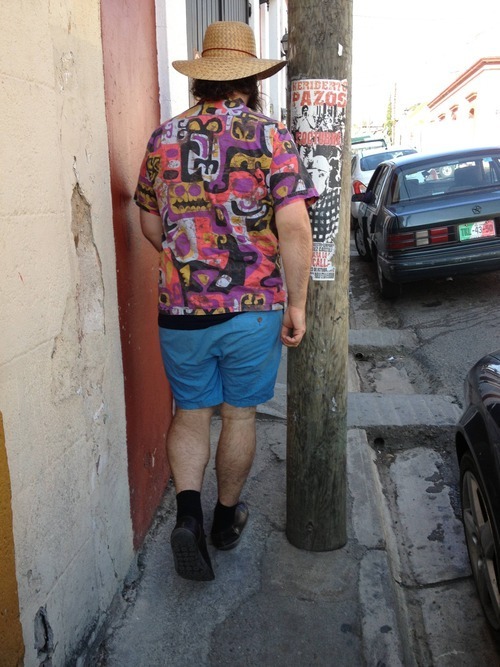 Here’s a super slick clown with amazing blue trousers that would be the envy of basically anyone in Olympia. This guy was hilarious and had a great time singling me out and making the kids laugh at me at my own expense. 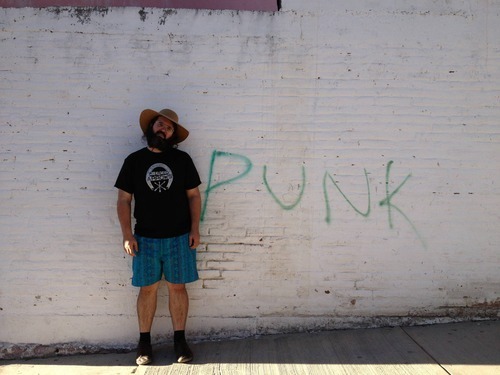 This is me the last day in Oaxaca. Absolutely brimming with joy. We had seen so many great things up to this point. I was walking on clouds!